Transcendental Meditation: critical/skeptical views of TM and related programs associated with Maharishi Mahesh Yogi: TM-Free Blog: Review of "Mushroom Satori"
“Mushroom Satori, the cult diary” by Joseph Szimhart is a novel about a young man’s vulnerability, seduction and later retreat from a meditation cult community in the New Mexico desert. Szimhart based this novel upon decades of work exit counseling cult victims as they struggle with spirituality, purpose, and identity. Jake is a young man who lost his alcoholic Vietnam veteran father to a motor cycle accident. As Jake struggles to find meaning in an oft confusing world, he joins an emerging spiritual community in New Mexico whose Buddhist master provides direction and meaning to followers. Jake devotes his life to this community’s spiritual purpose and celibate lifestyle. He works without compensation, forms deep friendships while denying rumors of their leader’s abuses. After ten years, Jake returns to his family of origin without money or direction. While he finds validation in his humble community of origin, Jake initially struggles with identity and purpose, even landing a small stint in a mental hospital with a brief psychotic break before emerging to establish himself in mainstream society. 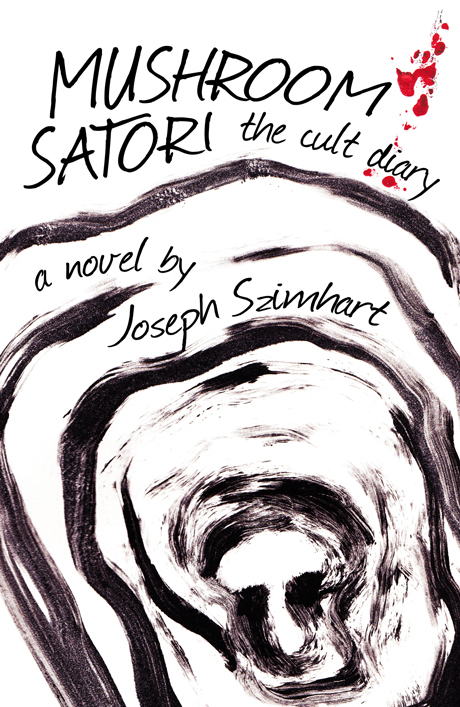 The characters of “Mushroom Satori” are both believable and likable, as are the vast majority of cult members. Jake’s spiritual Master combines an uplifting spiritual message with manipulative and ultimately abusive tactics. Jake’s intimate friendships, doubts, and desire for a meaningful life lead a reader from idealistic beginnings of cult seduction, through painful departure and eventual successful recovery and reintegration to society. The story entertains while educating. Szimhart’s compassion offers validation for former cult members, especially for those emerging from a group based upon Eastern philosophies. For family members of cult victims, Jake's personable character provides valuable insight into a cult member’s mindset. Mushroom Satori is available in Paperback and e-book format through Aperture press here. For help with cult recovery or exit counseling a family member - Joseph Szimhart can be reached through his website here.